A lifesaving Pakenham-based venture, spearheaded by a paramedic and a teacher, has received a federal cash injection to provide free first aid training throughout Melbourne’s south-east. 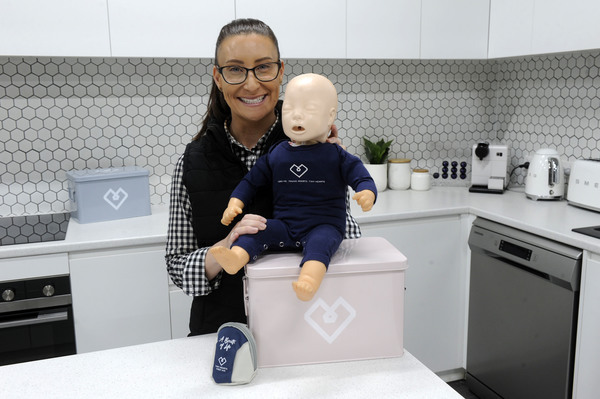 Tiny Hearts – founded by sisters Rachael Waia and Nikki Jurcutz – will arm 1800 local parents and carers with the skillsets required to save their children in the event of an emergency. In a regional first, 300 parents are also set to be trained bilingually, catering for Chinese and Afghan communities. Their journey began in a garage, but Tiny Hearts now has a headquarters in Pakenham’s Industrial Park – proving that business success is attainable under the most challenging circumstances. Ms Waia, a former educator and volunteer first responder, was first aid trained when she was just 15 years old. She is determined to share her vital knowledge with as many parents as possible. “I’ve got two kids of my own and I know what it’s like when they choke and when they’re really sick,” she said. “Because we’ve got such a good report built with our parents, we get a lot of feedback where they say, hey, you literally saved our babies’ lives. Tiny Hearts worked in conjunction with the South East Melbourne Primary Health Network to secure the federal grant. The organisation also hopes to reduce the number of inappropriate admissions to the emergency department and create a better health care system for the entire community. According to government figures, 45 per cent of metropolitan emergency department presentations are non-urgent. Tiny Hearts has also compiled statistics from participants, illustrating the importance of teaching the critical first aid skills. After the course, 98 per cent of parents said they felt more confident to act effectively in an emergency. Almost 50 per cent reported that they had used their acquired infant and child first aid knowledge within six months of undertaking the course. Narre Warren’s Shelby Cooke, who performed CPR on her choking two-year-old daughter while paramedics rushed to their home, stressed the importance of first aid training. She believes that had she not received the course through her workplace, her daughter may have suffocated. “I still owe everything to having those skills,” she said. “The more people that are equipped with them, the less tragedies we’re going to see with children, babies and toddlers. The free sessions will be held across the region, including at Beaconhills College, in Pakenham. Topics covered will include choking, fevers, convulsions, burns, drowning, bleeding, caring for an unconscious person, bites and stings and head injuries. Parents or caregivers interested in undertaking the free training can sign up by heading to: www.tinyheartsfirstaid.com/fundedcourse.